Smith's Store was located on the northeast corner of North Main Street and Hwy 66. They had a soda fountain, gifts, stationary items, newspapers, etc. This particular photo postcard was made during the 1950s. It shows a view to the north of the pool hall and the Glass Hat and to the east, several businesses, including Bassett's Grocery and the Palmer Hotel. 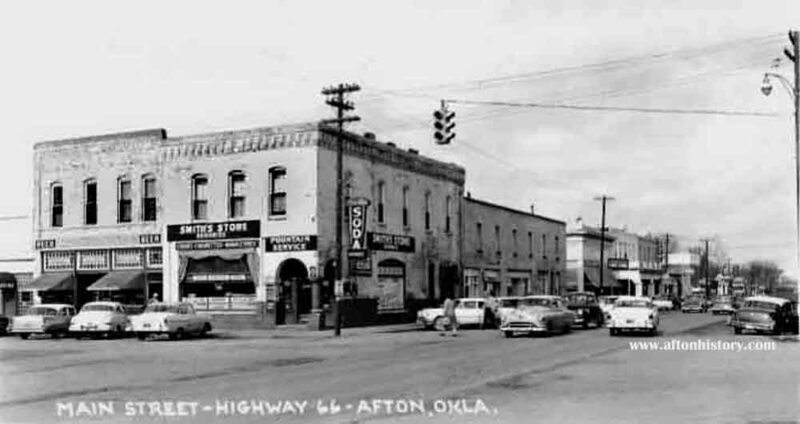 This was back in the days when Afton had an actual stop light.